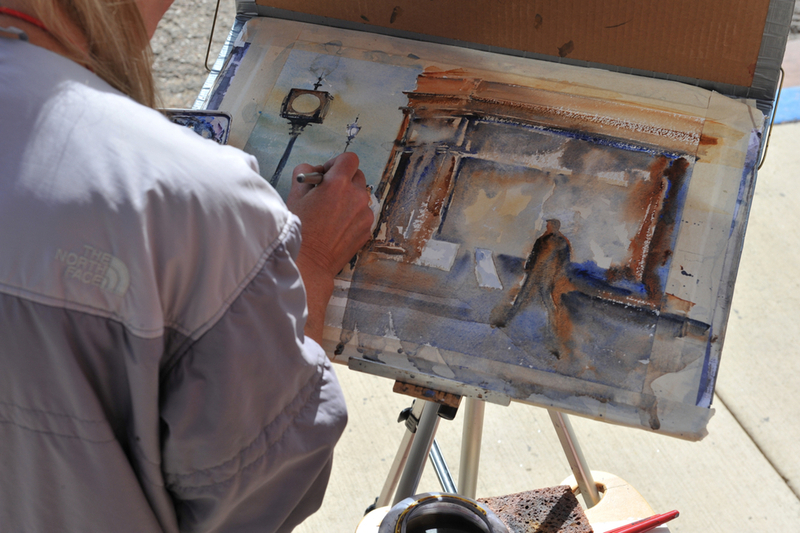 You are cordially invited to participate in the judged, 19th annual Victor Celebrates the Arts En Plein Air 2018 event where paintings are created outdoors from real life observations and inspirations. Our 2018 event will take place from August 24th through Labor Day, September 3rd. The City of Victor, Colorado and the surrounding area are rich in history and beauty. Expect a great week of working outdoors and meeting fellow artists from around the country. We are excited about our 19th annual arts event and know you will be as well. Over 40% of the entered paintings are sold during our Art Show and Sale. In addition, we offer nearly $4,000.00 (see the awards page for details) in cash prizes to paintings selected by our judge(s). Awards categories include Professional, Non-Professional and Open Special Awards. Please join us. Send us your application or you may register on-line to reserve your participation in this exceptional event.